Forest Meadows takes pride in the continuing development and refinement that ensures that our cemeteries maintains their status as Alachua County’s most beautiful and prestigious. We are proud of our beautiful “Chapel in the Meadows” mausoleums complex. Originally, mausoleum interment was only for royalty. In fact the word mausoleum originated when the Persian queen Artimisia, in 452 B.C. created an elaborate tomb to honor her husband, King Mausolus. The first mausoleum cost the equivalent of 30 million dollars and required 10,000 men to build. Today our “Chapel in the Meadows” mausoleum complex makes mausoleum interment a possibility for every family, not just royalty. The first two phases contain 1,206 crypts, the majority of which have already been sold. The next construction will feature phase three, which will contain 462 crypts. 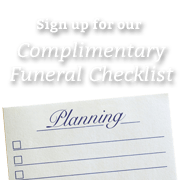 Surveys have shown that 75% of people would prefer dry above ground mausoleum interment if they could afford it. Well now they can! While mausoleums in the past were only for royalty and the wealthy, Forest Meadows has made dry above ground mausoleum interment available to everyone. For further information, call, or, we invite you to visit for a personal courtesy tour.